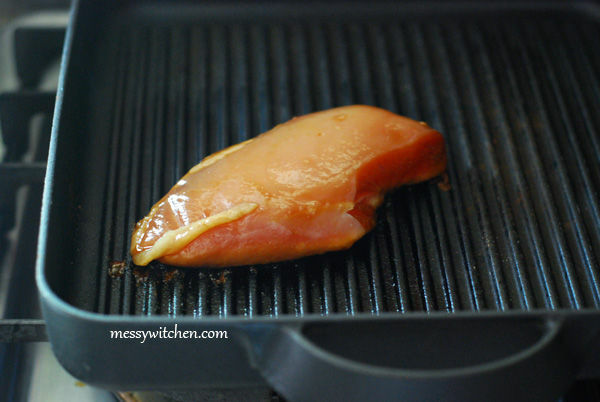 Initially I wanted to learn how to make teriyaki chicken but since I didn’t have the ingredients (sake, mirin), I looked for the substitute and came upon this chicken marinade that uses only four ingredients. I uses chicken breast since it’s my favorite part of the chicken ever since I was a little girl. But my family thinks it’s the most unappetizing and boring piece. They called me silly but I don’t care as long as I like it. 🙂 What’s your favorite part of the chicken? 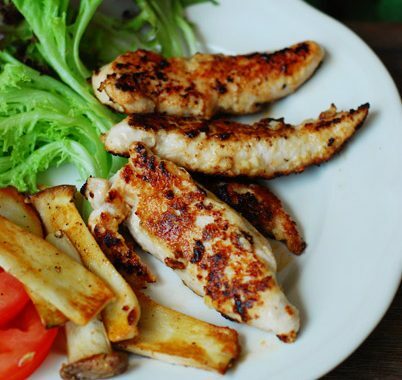 Any chicken breast lover out there? This recipe is so simple that it’s perfect for anyone especially working people. You just need to marinade the chicken a day ahead. Cooking time is fast too. You’ll have a complete meal by no time. First, clean the chicken breasts. I got this for RM5 at a morning market. 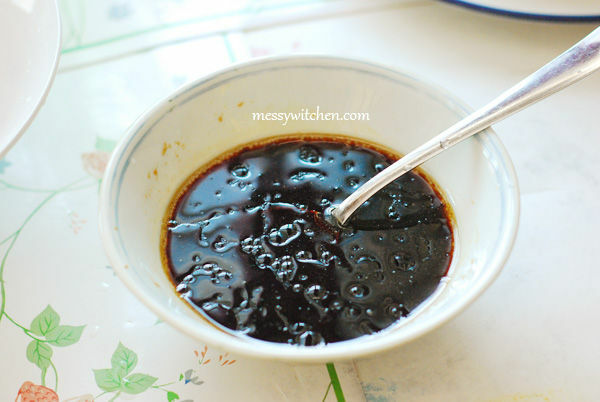 To make the marinade, in a bowl add light soy sauce, brown sugar, rice vinegar and grape seed oil. 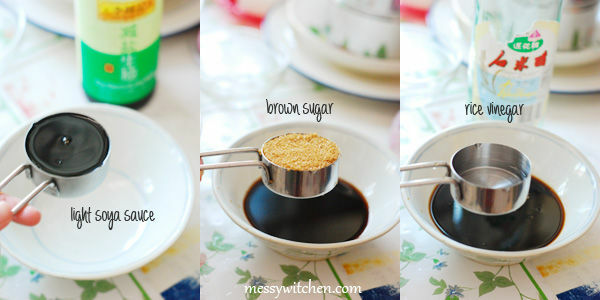 Combine well so that the sugar is dissolved. Pour marinade into ziploc bag, add the chicken and zip the bag. Make sure the chicken breasts are covered with the marinade. You can also use a large bowl instead of ziploc bag. Leave for overnight in the fridge or at least 4 hours in the marinade. To start grilling, heat the grill pan. Add oil to the grates with a brush, cloth or kitchen towel. Place the chicken breast on the grill for 6 minutes. Turn over the chicken and cook for 5-6 minutes. If you want more char, cook a minute or two longer. 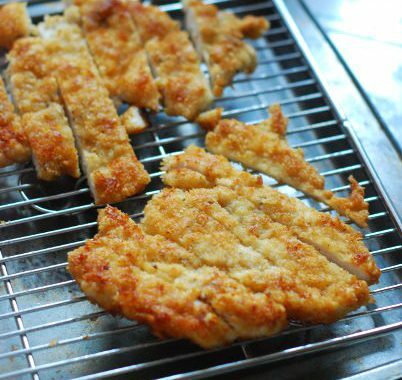 If you chicken breast is thick, you’ll need to cook longer. Place them on serving plate and add your favorite vegetables before serving. You can leave the breast whole or slice it up like what I did. That’s it. Tender and juicy… I like it and so did my sis! I would prefer a little more char, so next time I will cook an extra minute or two. 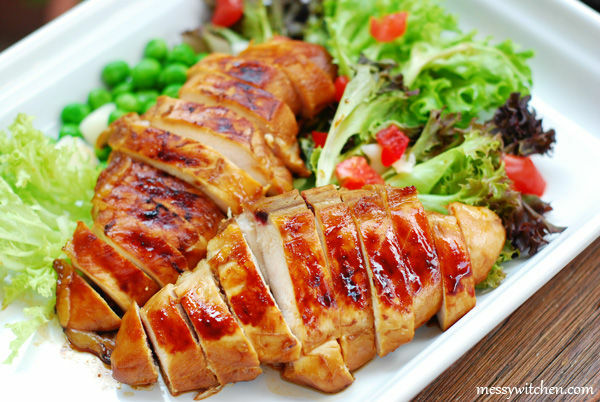 For me this grilled chicken remind me of Chinese style soy sauce chicken. My sis meanwhile said it’s like teriyaki. Hmm I don’t know. You be the judge. Try it and let me know what you think. 1. 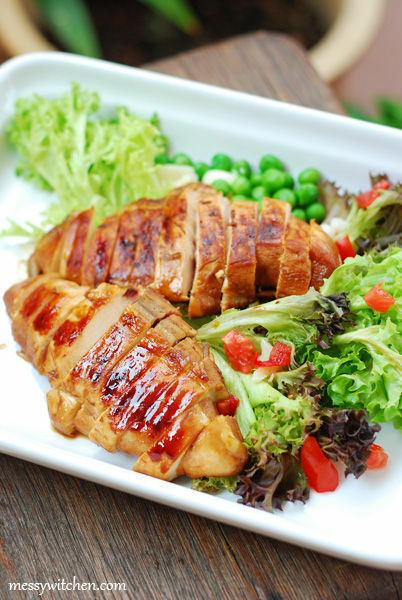 To make the marinade: add light soy sauce, brown sugar, rice vinegar and grape seed oil in a bowl. Mix well. Make sure the sugar is dissolved. 2. Pour the marinade into a ziploc bag. Add the chicken and seal the bag. Make sure the chicken breasts are immersed in the marinade. Leave in refrigerator for overnight for best result or at least 4 hours. 3. To grill: heat the grill pan and oil the grates. 4. Place the breasts on the grill for 6 minutes. Then turn over the chicken and cook for another 5-6 minutes. Cooking time also depends the thickness of the chicken. 5. Plate them, slice to your preferred size and serve with your favorite vegetables. You can also leave the breast whole. p/s: If you want more char, grill extra 1-2 minutes. Be careful of overcooking as the chicken may turn less juicy.